Besides posting about lunch, sharing content is one of our main activities on Twitter, Facebook, and other social media sites. Articles (like this one) are adorned with a smorgasbord of share buttons. You can even re-share other people’s Facebook posts by clicking share, liking or commenting, or retweet posts on Twitter. But, other than shamelessly asking friends, family, or followers for shares and retweets to gain a bigger audience for your content, there is no viable way of actively gaining more influence for your social interaction. 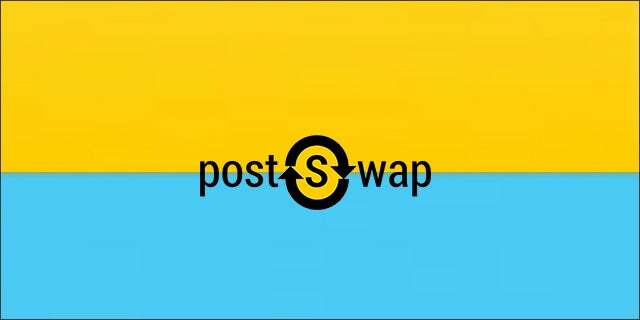 postSwap created a network of communities of like-minded social users to address this concern. Whether you are a freelancer or self-employed writer, an aspiring online personality or a small business, postSwap provides an active way for users to have their content shared, without having to endlessly solicit friends and family. When another user shares your social content, the amount of views increases exponentially. With more shares, the number of eyes that view your content increases in leaps and bounds. Social networking sites like Twitter and Facebook are like the roots of a tree or the web of spiders. The more the content is pushed through sharing, the more the web offshoots and the more influence you have as a social user. Instead of the hundred or so clicks your published link would normally get, proficient sharing of content can get you thousands more. By joining communities in postSwap, users can trade shares with other postSwap users. They share your content to their social network, and you share theirs to yours. The more involved you are in the community post swapping, the more influence your content can gain in the social media world. That is, uUsing a points-for-retweet model, the more retweets and sharing postSwap users engage in, the more points they earn to use for their own content. For content writers, designers, musicians, comedians, artists, and small businesses, a stronger social media influence can increase online, ad-generated revenue, product or services sales, and customer acquisition. postSwap was a showcased startup at our Tech Cocktail Week mixer in Las Vegas.